India and Russia have been engaged in an advanced stage of negotiation on the sale of strategically crucial defense platforms like the S-400 air defense system, four stealth frigates, and helicopters despite the threat of US sanctions under the Countering America's Adversaries Through Sanctions Act. 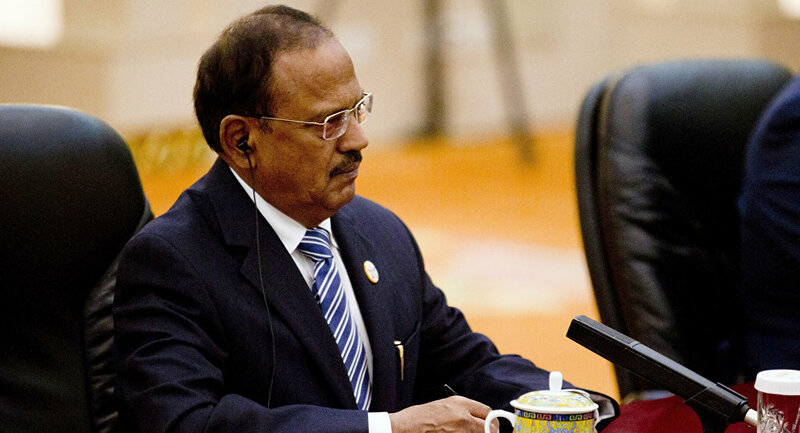 New Delhi (Sputnik): India's National Security Adviser (NSA) Ajit Doval — considered the most powerful bureaucrat in Prime Minister Narendra Modi's government, will be visiting Moscow later this week. Doval is scheduled to meet his Russian counterpart Nikolai Patrushev during the visit, the plan for which was approved in March this year, ahead of Doval's visit to Washington. A government official confirmed the development with Sputnik on Thursday. Apart from discussions on the geopolitical scenario, especially the prevailing crisis in Syria, Doval will discuss the procurement of a second Akula-class submarine for the Indian Navy. "During the trip, Doval will tell the Russians that India is keen on signing a commercial contract for acquiring a submarine — a Russian Navy Akula-2 which will be modernized to meet India's needs — for approximately 2 billion USD later this year," an unnamed official told the Hindustan Times. India has leased two nuclear-propelled submarines from Russia in the past, including one currently in service. Earlier on Wednesday, Russia's President Vladimir Putin had a telephone conversation with India's Prime Minister Narendra Modi to discuss "a strategic partnership between Russia and India" at India's behest. "The two leaders had a constructive and friendly discussion of several current issues related to developing the privileged strategic partnership between Russia and India," a statement issued by the Kremlin reads. The telephonic talks come within a week of Indian defense minister Nirmala Sitharaman's visit to Moscow during which the two countries agreed to ‘continue contacts'.